Local 5089 represents Registered Nurses at Rutgers University's Biomedical and Health Science's division, University Hospital, and Rowan University. On Tuesday, April 9th, HPAE met with UH for another bargaining session that resulted in several tentative agreements clarifying contract language and other housekeeping issues. Our HPAE Local 5089 Negotiating Committee met with Rutgers University for a bargaining session with Rutgers University on March 21, 2019. 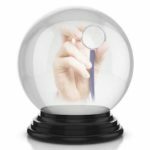 Is Rutgers Experimenting with Privatization at The Expense of Patients and Workers? Rutgers has signed over its health care operations to RWJBarnabas Health and now RWJBarnabas will be making decisions about the healthcare services you will receive. 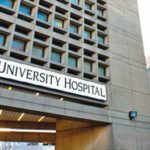 University Hospital is requesting $10 million in state funds to review and improve an overcrowded emergency room that served approximately 80,000 patients last year, interim President and CEO Judith Persichilli said at a Community Oversight Board meeting on Wednesday. Your presence is important. Please plan to attend one of the meetings. Meetings are for members only. Featuring a Presentation from University Hospital Acting President and CEO, Judith M. Persichilli, R.N., B.S.N., M.A. On Thursday, January 17th, HPAE met with management for another bargaining session. This lunch time meeting is an opportunity to find ways we can fight together for an institution that treats patients and workers with dignity and respect. 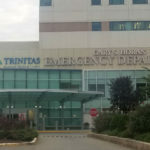 University Hospital is the only public acute care hospital in the state and one of three level 1 trauma centers in New Jersey. 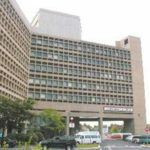 It is also the premier research and teaching hospital for the state. Our HPAE Local 5089 Negotiating Committee met with Rutgers University for a bargaining session with Rutgers University on December 17, 2018. A report by veteran health care executive Judith Persichilli concludes University Hospital in Newark, the state’s only public hospital, needs a transformational leader. As the last standing public hospital in New Jersey, University Hospital should be recognized for its role as a leading healthcare institution in our state. During CEO John Kastanis’ tenure at University Hospital, HPAE members have raised concerns for patient safety and the stability of the hospital. HPAE has reached an agreement with University Hospital that protects members who require a religious or medical accommodation related to the flu vaccine policy. On Wednesday, November 28th the HPAE negotiating committee met with management to officially begin bargaining a new agreement as our contract expired on September 30. 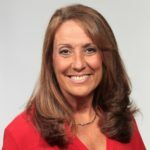 The NJ Department of Health is dispatching a team of infection-control officials and experts to inspect five pediatric facilities next month in the aftermath of two separate viral and bacterial outbreaks..
Members have been advised that they must provide proof that they have been vaccinated against the flu by November 30th or that they have an approved religious or medical exemption. 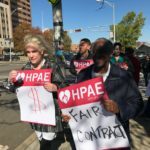 Our HPAE Local 5089 Negotiating Committee held a bargaining session with Rutgers University on October 22, 2018. 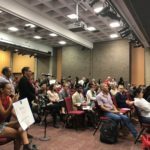 On Monday, September 24th, HPAE held another Town Hall event that was sponsored by Mayor Ras Baraka at NJIT to address the changes being made to University Hospital’s inpatient pediatric and pediatric intensive care units. 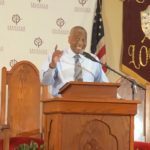 Labor unions and community organizations are partnering with Newark Mayor Ras Baraka to sponsor a Town Hall. Our next bargaining session dates and locations are September 28thth 9am-1pm (Liberty Plaza, New Brunswick) and October 16th 9am-1pm. We’ll be talking about the future of UH and the commitment to public health in Newark, transparency and government oversite of public-private partnerships and job protections. Alarms sound over shortcomings in quality of care and financial soundness. Murphy moves swiftly to tackle problems. On this — the fifth anniversary of becoming the only state-owned, independent, acute-care medical center — University Hospital in Newark isn’t getting a milestone party. Nurses and health professionals at University Hospital have witnessed the erosion of funding for our state's only public Level 1 Trauma Center. The public hospital that wanted to cut pediatrics? People got mad. Now, that plan has changed. University Hospital's plan to outsource its inpatient services for children to another Newark hospital is off the table for now, a spokesman confirmed Monday. Mayor Ras Baraka wants the state Department of Health to put the brakes on University Hospital's plan to reduce the number of beds in its inpatient pediatric unit by more than 80 percent. 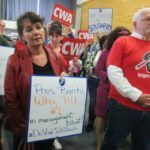 Administrators at University Hospital in Newark may be pondering changes at the busy medical center’s pediatric unit, and local labor groups, community leaders and nurses are worried about what will happen in their wake. The Nominations/Election Committee announces that they are now accepting nominations to represent Local 5089 at this year’s HPAE State Convention. On Thursday, July 12th, we had our fifth negotiations session with Rutgers/UCHC. 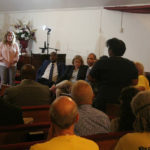 Labor and community organizations sponsored a Town Hall Event on Wednesday, July 11th to bring together the community for an open conversation about the future of public healthcare in Newark. Government shutdowns should not become an annual event in New Jersey. 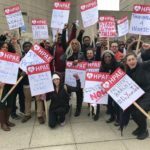 HPAE, the largest union of nurses and health professionals in NJ, responded to today’s U.S. Supreme Court ruling as another strike against workers, who are advocates in their workplace, and in favor of wealthy individuals and corporate interests. 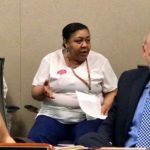 Our HPAE Local 5089 Negotiating Committee held our fourth bargaining session with Rutgers University on May 23, 2018. Rutgers is not for sale! Keep University Hospital Open!! Gov. 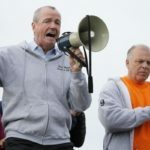 Phil Murphy on Friday signed a bill strengthening the rights of public worker unions, which could face a big threat from a looming decision by the U.S. Supreme Court. There will be fewer beds for children at University Hospital in Newark if a proposal to cut back its inpatient care services goes through. 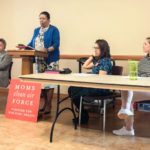 Community members and labor unions will attend a meeting of the Community Oversight Board (COB) at University Hospital during which the COB will be reviewing the hospital’s plans to close its pediatric unit. Our HPAE Local 5089 Negotiating Committee held our third bargaining session with Rutgers University on May 3, 2018. On Wednesday, May 2nd, a vote was held to ratify a new agreement with University Hospital for one year. Please make sure you attend one of the sessions to learn about the details and then vote on the new contract. Remember – only members can attend & vote! 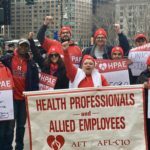 With the Rutgers, Rutgers Health Group and RWJ Barnabas Health partnership scheduled to go into to effect on July 1, 2018, our union, HPAE, along with our union coalition partners, continue to be very concerned. On Friday April 13th, the HPAE Local 5089 Negotiating Committee was able to reach a tentative agreement that guarantees every member will receive a wage increase while strengthening our rights as union members. All three locals have now had their first negotiations session with management. 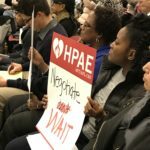 HPAE leaders joined hundreds of union, community, and student activists on Friday, February 23rd at a “Bargaining for the Common Good” Convening at Rutgers. 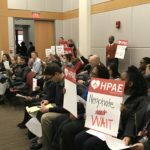 Recently, HPAE was advised of the Hospital’s plan to close both the Pediatric and the Pediatric Intensive Care Units in the near future. Rutgers Union Coalition Action at the Board of Governors! Phil Wilson, Local 5094 Co-Secretary, describes his experience at the Rutgers Board of Governors meeting on Wednesday, February 8. Nominations for HPAE Local 5089 Officers and Representatives are closed and our election is now underway. Her union coworkers will gather to support her and her family during this difficult time while working on establishing safety standards to prevent this from happening to anyone else. 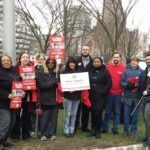 Members of HPAE Locals 5089 (RNs) and 5094 (non-nursing professional staff) at University Hospital (UH) in Newark held a lunchtime rally and picket today as a show of unity between the locals and to kick off their contract campaign. HPAE members working for Rutgers, Rowan, and University Hospital are encouraged to participate in the Direct Primary Care Medical Home (DPCMH) pilot project. 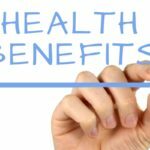 The New Jersey Direct Primary Care program was established so that state health plan members could get better care while saving time and money. 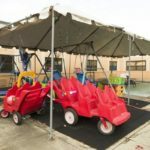 Under the three-year pilot, which started last month when R-Health's contract took effect, as many as 60,000 teachers, police, firefighters, and other state and local government employees will be allowed into the program. Your negotiating team has come to a memorandum of agreement with University Hospital. This agreement must now be voted on by the membership! Follow the link for a detailed summary of our tentative agreement with University Hospital for HPAE Local 5089 Registered Nurses. We have a tentative agreement at University Hospital! Our Local 5089 Negotiating Committee met with University Hospital on Friday, September 30th. We reached a number of agreements that will clear the path for our entire focus to now be on wages. We reached an agreement with University Hospital that resolves an outstanding arbitration filed in 2012. As a result, every Staff Nurse on Scale B will be placed on the proper step. On Friday of last week your Union representatives met with Rutgers administration regarding their payroll migration process. While we have several concerns surrounding this transition, the most pressing of these is what we will call the “hold back” week. As you know, we have been working with Rutgers in an effort to resolve the outstanding issues related to the payroll migration. You have received information from both HPAE and the University regarding these changes. On September 26th, our HPAE Negotiating Committee met with management for another bargaining session. The focus was almost entirely on compensation and procedures for when the Hospital declares an emergency due to inclement weather or catastrophic events. On Friday, September 16th, our HPAE Negotiating Committee met with University Hospital representatives again as we try to finalize a new contract. On Thursday, July 14th, the Negotiating Committee had another bargaining session with management. The session focused on several key issues that remain outstanding such as job security, random drug testing, FMLA, and staffing. The nomination period for AFT and HPAE Convention delegates has concluded. All nominees ran unopposed and therefore are deemed elected by acclimation. Our Negotiating Committee met with management again on Wednesday, May 25th. Read the latest contract update and be sure to attend the upcoming membership meeting. Nominations are open for HPAE Local 5089 delegates to the AFT Convention in July and the HPAE Convention in October. Rutgers Labor Relations Department has confirmed for our union the schedule of the negotiated pay increases for our HPAE Local 5089 bargaining unit members. Although there has been a delay, the increases will be paid retroactively. The official results of the HPAE Local 5089 Officer and Rep Election have been certified by the American Arbitration Association. 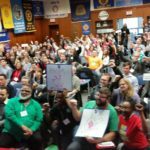 Pack the UH Board Meeting, Contract Now! Earlier this month, our negotiation team for HPAE Local 5094 and Local 5089 returned to the table to resume negotiations with the State for a new contract at Rowan University. The HPAE Local 5089 Rutgers Contract Ratification Vote begins Friday, December 4, 2015. You have the opportunity to accept or reject the tentative agreement your negotiating committee reached with Rutgers management. Voting is open through 3:00 pm Wednesday, December 9, 2015. The HPAE Local 5089 Rutgers Contract Ratification Vote begins Friday, December 4, 2015. You have the opportunity to accept or reject the tentative agreement your negotiating committee reached with Rutgers management. You can download a summary of the agreement here. The signed MOA can be found here. We have a Tentative Agreement at Rutgers! 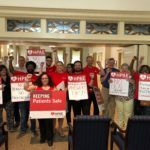 We are pleased to announce that your HPAE Local 5089 bargaining team has reached a tentative agreement with Rutgers management for a new contract covering registered nurses at Rutgers University. This is our first contract since the merger with Rutgers. May 10, 2015 Banita Herndon, an ER nurse and Local 5089 Grievance Chair at University Hospital, received the “Nurse of the Year” award yesterday from The Concerned Black Nurses of Newark (CBNN) at their 33rd annual Scholarship & Awards luncheon. What do we want for Nurses Week? We'd like to take a quick moment to wish our members a Happy New Year. And with the new year... we've received yet another self congratulatory email from Vivian Fernandez announcing wage increases for the non-union staff and the Teamsters. 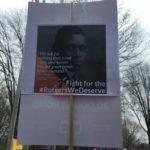 RUTGERS WORKERS NEED FAIR CONTRACTS NOW! Nearly 20,000 Rutgers employees and our unions are in negotiations with the University for a new contract. So far, management has offered no raises to staff and proposed numerous give-backs. Most contracts have already expired. 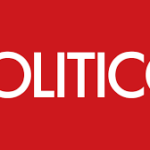 Taken from NorthJersey.com - June 18, 2014 Democratic leaders in the state Senate want New Jersey’s wealthiest residents and its corporations to pay higher taxes so the state can make a promised contribution into the public employee pension system. 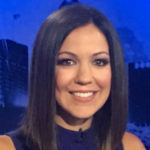 The following article appeared on June 9, 2014 on NJ.com. 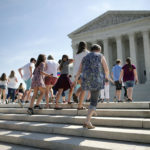 HPAE,as a member of the American Federation of Teachers, is a signatory on this lawsuit. The next meeting of the University Hospital Community Oversight Board (COB) is Tuesday, April 15 at 12:00 noon at the Rutgers Cancer Center, 205 South Orange Avenue, B-Level, Room B-1120. Help elect candidates who will put working families first! Congratulations to the newly-elected officers of Local 5089: President - Elmer Daniels; Vice Presidents - Cynthia McDougall, Cynthia Baez,Yolanda Patron, Joy Strickland, and Ann Marie Lozano; Secretary -Wendy Bobcombe; and Treasurer - Jeannie Redd. Our Union contracts will expire on September 30, 2014. We are making preparations now to negotiate the best possible contracts for the future. On October 22, 2013, the Union Coalition held our quarterly Labor Management Committee (LMC) meeting with Rutgers' administration. The HPAE Local 5089 Nominations and Election Committee is currently accepting nominations for local officer positions and union representative positions. HPAE Training for Local 5089, 5094 and 5135 Reps at University Hospital, Rutgers and Rowan is scheduled for Saturday, November 9 from 10:00 am to 2:00 pm at our New Brunswick office. 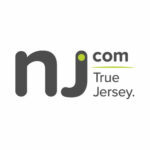 On July 1st, UMDNJ ceased to exist and UMDNJ's staff became part of a newly-independent University Hospital, Rutgers University, or Rowan University. As staff have changed employers, HPAE continues to be an active advocate for its members and the community. All members of Local 5089 are encouraged to attend a general membership meeting and member appreciation dinner May 22, at the Rutgers Labor Education Center. The HPAE Local 5089 Nominations and Elections Committee is currently accepting nominations for eight local union officer positions as well as union representatives at Rowan, Rutgers and University Hospital. Sign the petition: Rutgers should sit down and bargain now!